If you’re not training your associates and measuring their performance, you’re losing out on sales you could be making. 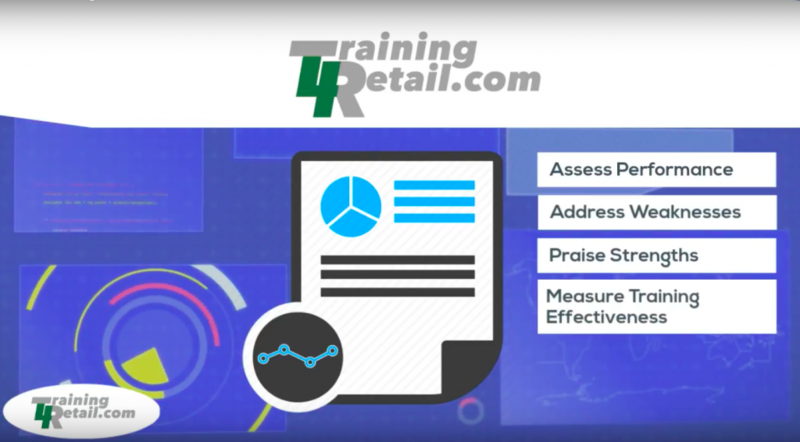 Watch our video to see how Training4Retail works to educate your team while keeping them motivated and engaged – and selling more. With retail sales training content written and developed by Brad Huisken of IAS Training, your associates will learn effective methods to increase sales for your store. Associates access new content each month, and training videos are in short segments to avoid disrupting their regular duties. Our system rewards points for quiz questions your associates will take with each chapter and throughout the month, and you get reports on their performance. They also receive points for exceeding your store’s averages for closing and add-ons, so they’re motivated to perform. The points your associates receive for correct quiz question responses and sales performance are tracked on your store’s leaderboard, encouraging team members to continue improving. The leaderboard lets you keep tabs on everyone’s progress, and it keeps your team engaging with the system throughout each month. What are people saying about Brad Huisken's training? I highly recommend Brad to anyone that is serious about growing their business and taking control of the personnel side of their organization.